Styles BET154 & BET157 in 2ft x 2ft squares and BET197 in 2ft x 4ft rectangles. Deep surface scoring minimizes grid visibility. Low VOC compliant. Compatible with Armstrong Cortega model 770 and USG Radar model 2110. Sold in packages of 16. 100% non-directional fissured pattern. Variety of edge detail options and panel sizes. Style BQCL224 in 2ft x 2ft in squares. A mineral fiber panel with non-directional fissured patterns and geometric designs. Three dramatic geometric designs with 100% non-directional fissured pattern. Clean 3-dimensional scoring, free of fissures or pin perforations. Features deep shadow face scoring. Product’s deep scoring complements the suspension system, masking the metal grid. 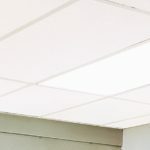 This ceiling tile is also known as Gridstone is a gypsum panel ideal in applications where repeat cleaning is required. Vinyl faced gypsum core. 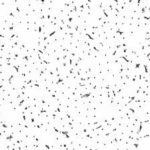 Appropriate for use in ceilings that require repeated cleaning, and suitable for cleaning with common disinfecting chemicals. Does not contain formaldehyde. 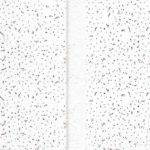 These ceiling tiles are available for special order in a variety of styles and sizes. 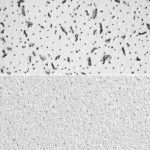 Cortega ceiling tiles offer a medium texture, economical non-directional visual with standard acoustic performance. Dune ceiling tiles provide a durable, fine-textured, non-directional visual with standard acoustical absorption. Dune tiles are a High Recycled Content (HRC) item which contains Ceiling-to-Ceiling high post-consumer recycled content.